Garrett McPherson is a composer and orchestrator from Sacramento California. His music is very diverse ranging from, but not limited to, driving rock to intimate orchestral music. 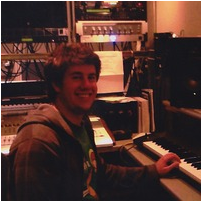 Garrett was self taught in music composition until he entered the Biola Conservatory of Music in 2010. There he received a Bachelor of Arts in Music with emphasis in composition. There he studied under composers Robert Denham, Christopher Wills, Alex Lu, Lawrence Mumford, and Jonathan Neal. He received awards for his music during his time at Biola including three time finalist in the annual Composition Competition (California Blue, 2010; Sarai’s Lament, 2011; Nocturne, 2014) and winning the P.E.R.C competition (Mountain Rails, 2011). Garrett also has a passion for film and interactive music, he has scored several films and games since he has began his composition career.